Shipping Weight: 1000 units at 28.6 lbs. What do you think of when you picture satin? Probably smoothness and sleekness, right? Good call. That's exactly how the Satin Stylus Pen got its name. Personalize it, twist it, and start writing like one of those fancy authors you've read so much about. Oh, and it's also a touch screen stylus! Trade show giveaways must grasp attendees' attention enough for them to come to your booth AND actually want to take one. That's no easy feat, but these colorful stylus pens pull it off pretty well. The rubberized grip is optimized for comfort and better control, and you'll love seeing your brand name on the plastic barrel. When hand writing won't do and it's time to switch to the tablet, just flip it over and use the other end! Boom: problem solved. 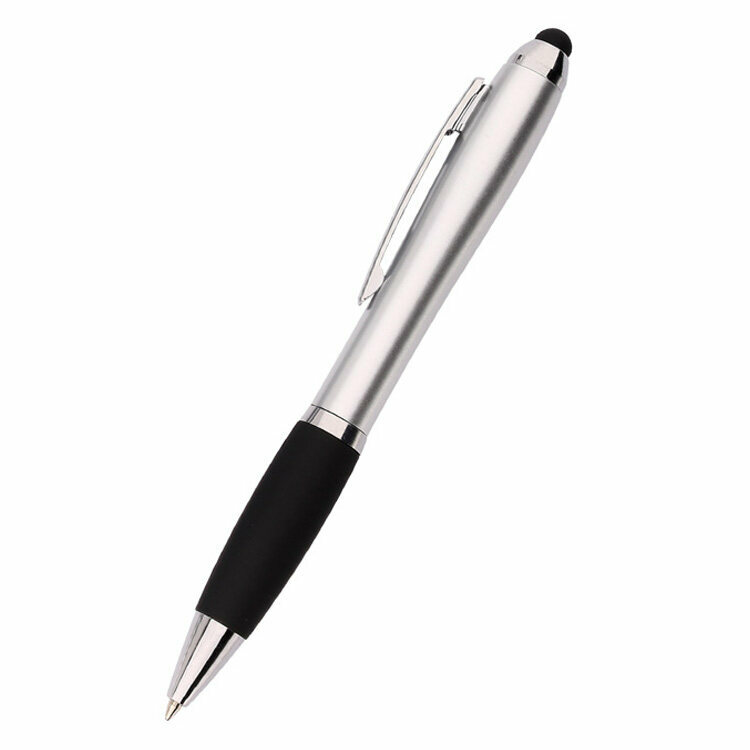 • The pen has a twist-action tip that clicks firmly into place and writes fluidly with a dark black line. • The stylus glides with ease over a touch screen surface. • The rubber grip is extremely firm with a smooth surface. • The conclusion: this really is one smooth giveaway! Incorporate the touch of satin into your advertising campaigns for less than a buck a piece ! 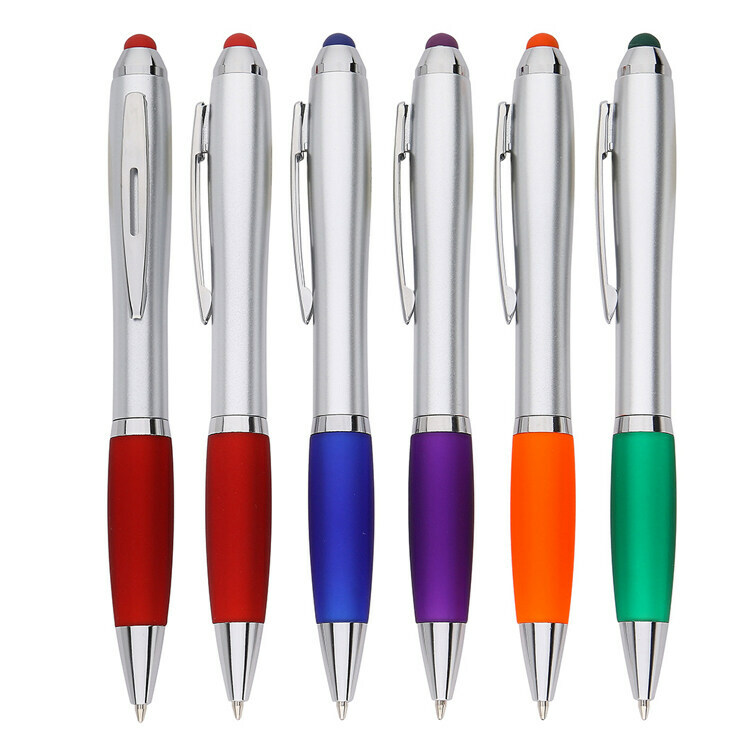 JAVLEINPEN.COM can customize your order of twist-action ballpoint pens right away, but you'll have to give us a call or submit a price quote to get that ball rolling. Plus, you'll enjoy our award-winning customer service and our free electronic proofs by ordering today! Nice pens, great job with the stamping,but Shipping price is a little hard to stomach if you need them soon. Got what I wanted and everything came out just as I asked. I have recommended JavelinPen to many people. the product arrived SO much faster than I thought. Excellent site and products. The pens are great for medical offices. You can use them on your ipad. These pens write so smoothly. The inscription is clear and durable. I order these because they are high quality and good value. 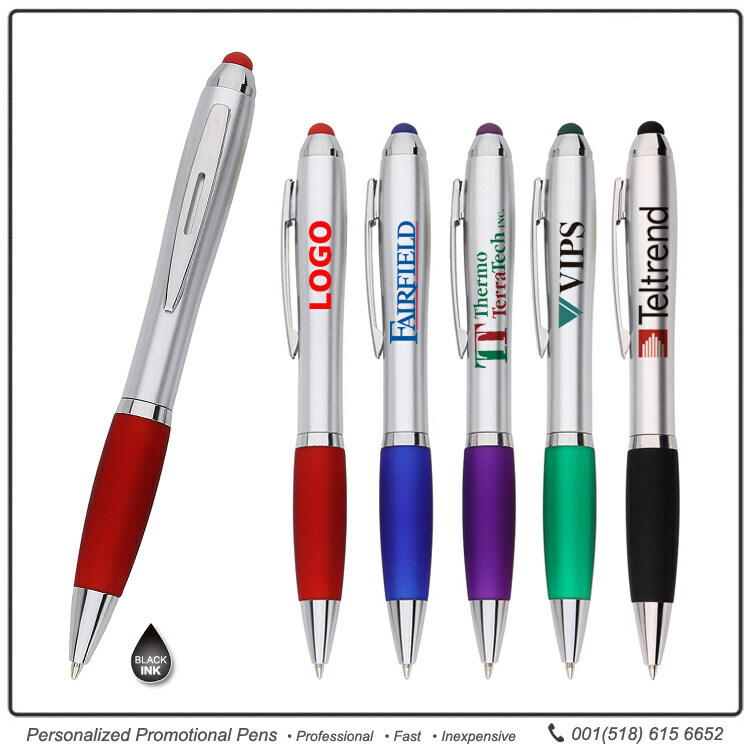 We use them in our daily work and they are promo items for our customers as well. our sporting clays shooters are required to sign a waiver prior to the event. these pens are available to them and very often they disappear fast!I would recommend them. Actually had this pen that we were looking for. Quick, easy ordering.